Within our mobile app, you can also update and edit your account settings! You can access your Settings page by selecting the blue tool menu in the top left of the screen and click on Settings. 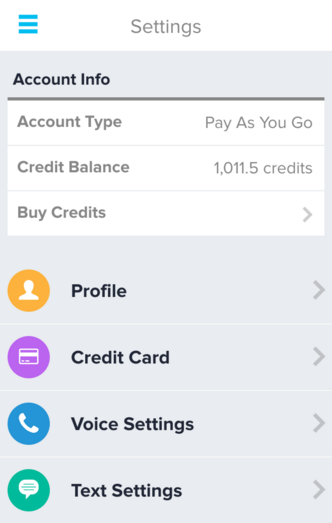 From there you will be able to edit your profile, add a credit card, and edit your voice and/or text settings!